With the air pollution of Delhi causing numerous health problems to people, it has become a necessity to take precautions before you get an eye infection, lung cancer, skin disease or serious respiratory infections. While adults are taking precautions by wearing air filter masks every day, kids might need extra protection given that they are not as strong as us. 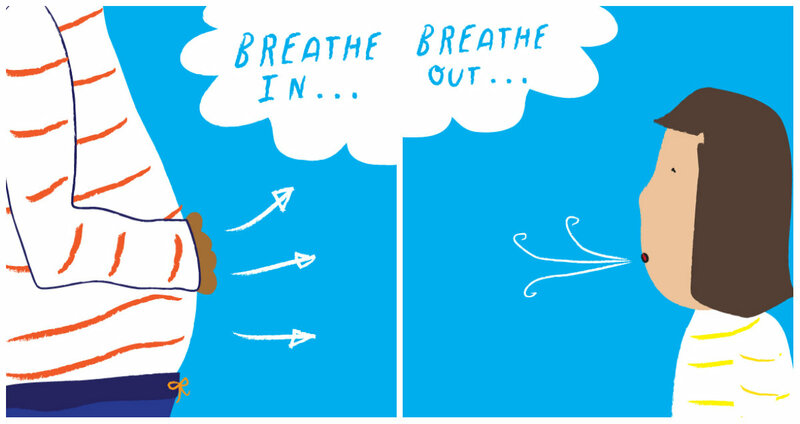 Here are some of the breathing exercises you can teach your kids to help them fight pollution on a daily basis. Just practising these exercises every day will help them from getting any respiratory infections or health issues. KINDLY NOTE that your kids are doing these exercises in a clean environment where there is the least pollution. The exercises are preferred to be done around plants or in the balcony, nowhere near any polluting vehicles.Here are some of the ways in which you can protect your children from air pollution. Bear breathing exercise involves your kid breathing in through their nose, holding the breath for a couple of seconds and then, exhaling it from their mouth. Make sure your kids do this at least 4-5 times a day for the exercise to be effective. 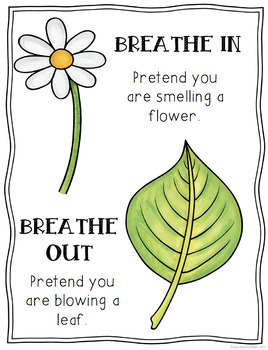 This breathing exercise, as the name suggests, is exactly like smelling a flower. You take a deep breath from the nose and exhale it from your mouth slowly. It can be done with or without a flower. The exercise also releases any tension or extra stress that your kid might be under. This is exactly like Flower breathing. You inhale through the nose, taking a deep breath but while exhaling through your mouth, you make a hissing sound as a snake does. This breathing exercise helps you to slow down their inner activities. It is a wonderful exercise for kids to relax themselves not just physically but also emotionally. Ask your child to take 3 quick sniffs, breathing in through their nose and slowly breathing out the air through the mouth. They can pretend to be bunnies or even, Bugs Bunny for fun. In this exercise, your kids are supposed to pretend that they are a balloon. Tell your kids that when a balloon gets filled you with hot air, it expands drastically. The same way they are supposed to think of themselves as balloons and take a deep breath to fill their lungs, chest, ribs and stomach with as much air as possible and then breathe out through the mouth. In this one, you inhale through the nose, taking a deep breath and while exhaling through your mouth, you make a “mmmm” buzzing sound as a bee does. Your kid can also cup their hands over their ears to intensify the buzzing sound they are making. Ask your kid to point their index fingers towards each other and position them as shown below and ask them to blow as they spin their fingers around each other, making a “wishy wishy” sound like a tumble dryer. The exercise involves kids pretending to be an elephant. Ask them to keep their legs apart and arm in front of their nose as if it’s their “elephant trunk”. Tell them to breathe in through the nose as their arm goes up slowly and exhale through the mouth and their arm goes down. This exercise will help your kids wake up their sluggish tyke. These are just simple breathing exercises but can make a huge difference in your and your kid's health. 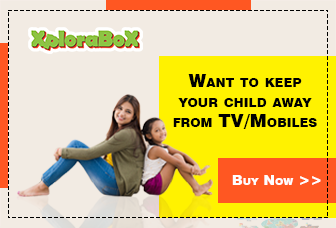 To keep your child happily engaged at home and make sure they don’t get out too often, try Xplorabox. activity boxes. Xplorabox is a monthly subscription-based activity box for kids containing skill-enhancing offline activities and games, which help in developing motor, cognitive, and social skills in children. If you liked this article, do share it with your family and friends to increase awareness among them.